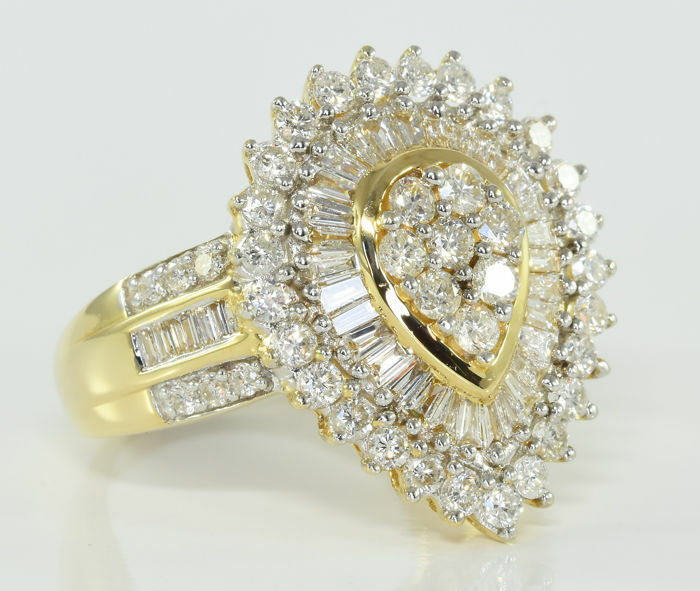 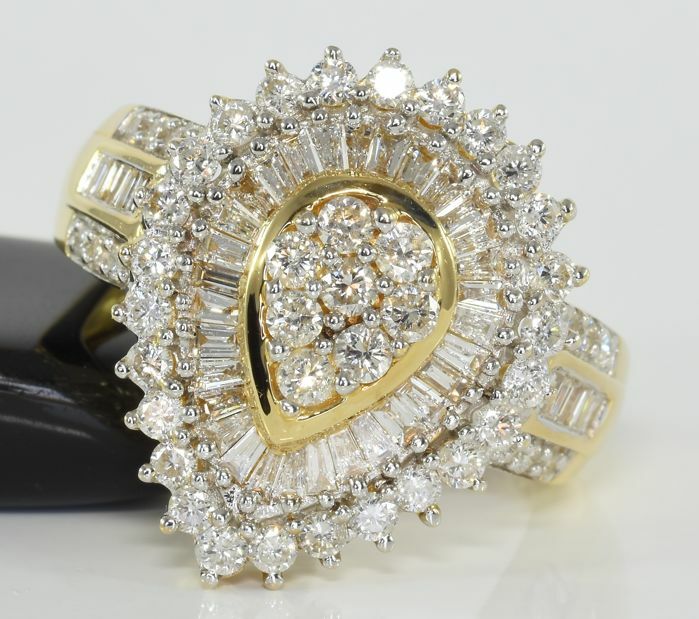 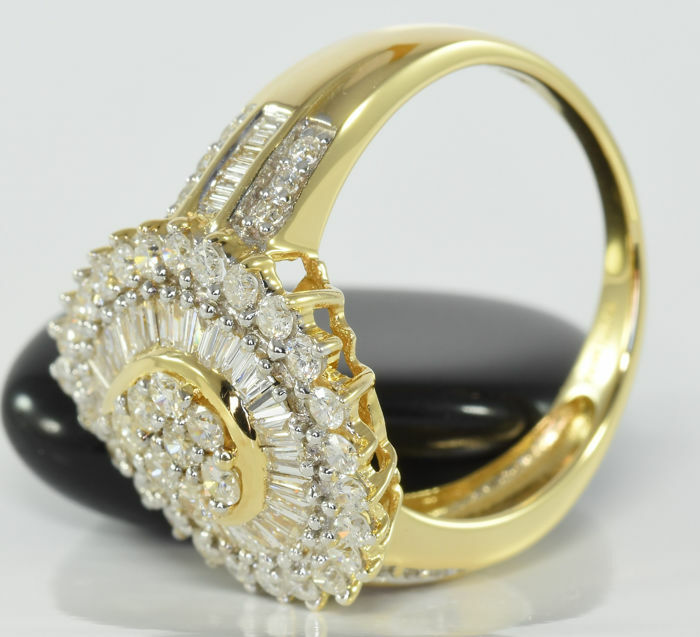 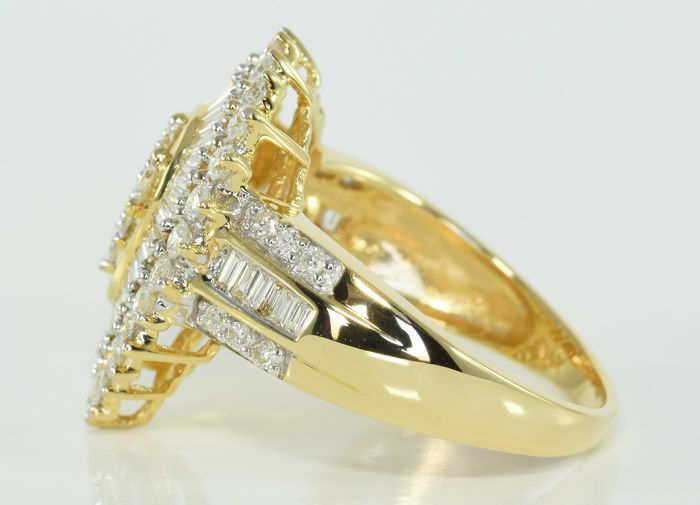 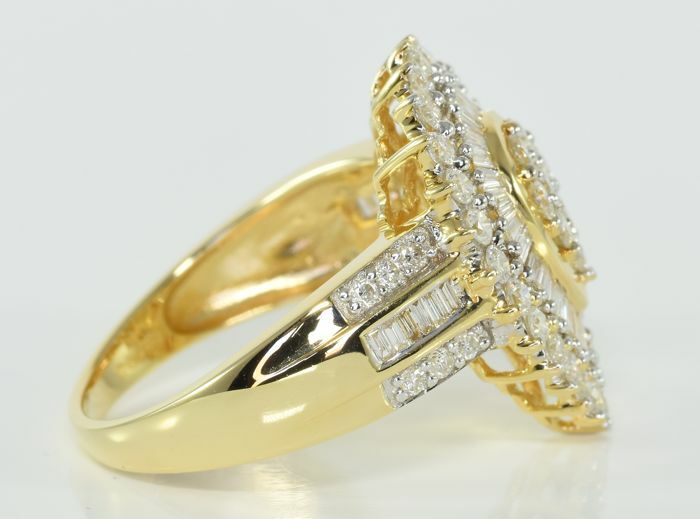 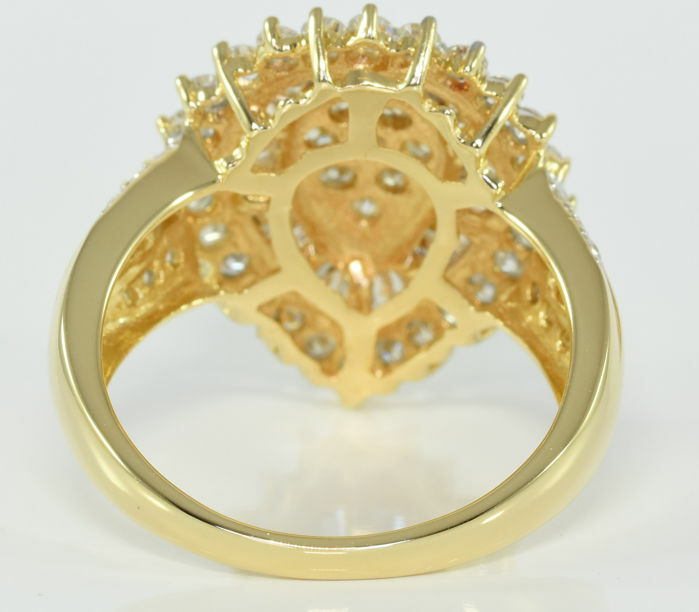 A 14 kt gold ring with a large cluster of brilliant and baguette-cut diamonds, and similarly-cut diamond shoulders. 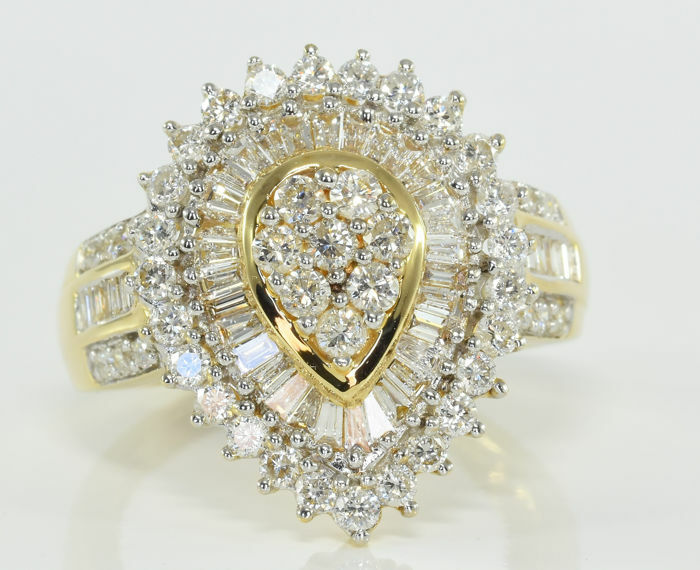 The diamonds are white and free of dark inclusions. 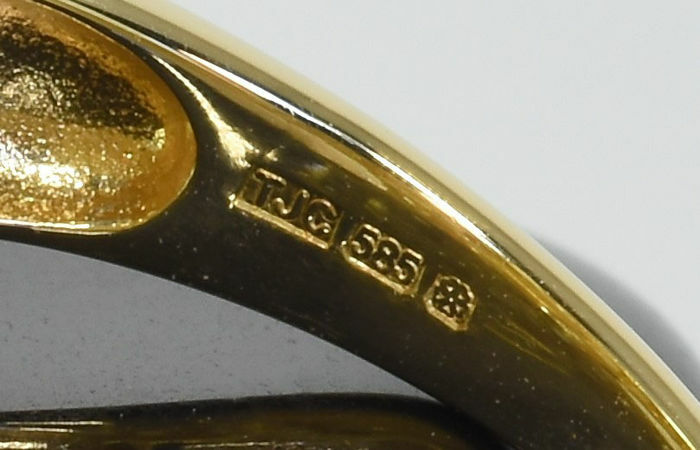 Hallmarked for Sheffield and for 14 kt gold. 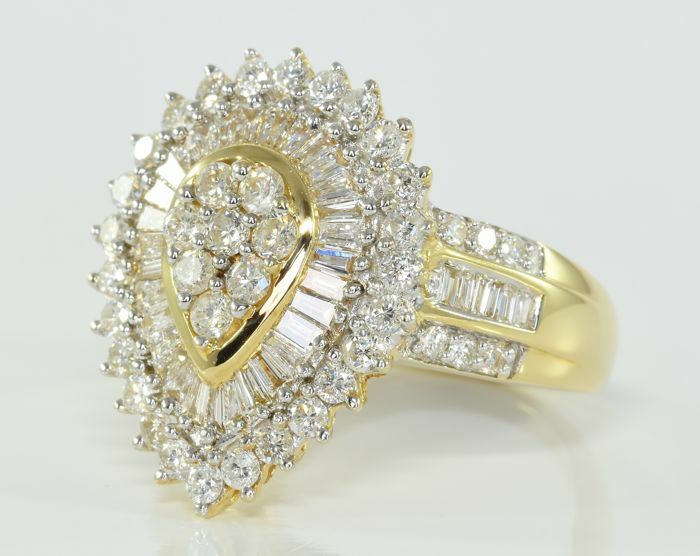 The ring has been polished to a mirror finish and is presented in excellent condition with a new ring box.